Sun Feb 6 22:12:24 EST 2011 Version 1.2. VE session search fixes and 2011 general pool. Mon Dec 6 15:39:49 EST 2010 Version 1.1. Added VE session search feature. Fri Sep 24 18:27:52 EDT 2010 Initial release of the android version. Palmpilot version discontinued. PalmVE is a program for Android devices that is built to aid as a 'virtual volunteer examiner' for amateur radio written tests. The program can create complete practice tests which you can take, and will keep track of your test history and let you know how you're doing. You can also browse the question pools or search them. Figures are supported. 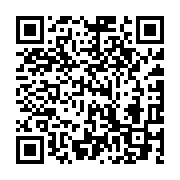 You can scan the barcode to the left to download the app on your android device, or you can check it out on the market. Here are a collection of screenshots, sorted by function. This is the main screen. From here, you can download question pools, install question pool updates, start or continue practice tests, or check your test history. Tap an installed pool to start or continue a test. Long-tap it to get a menu that lets you get test history stats, or move or delete the pool. From the long-tap menu, you can also browse the question pool or look at all the related figures. This is the test taking form. If you want PalmVE to prompt you when you miss a question, you can configure that in the settings screen. By default, it won't give you immediate feedback on your answers. This question has an associated figure, so there's a big 'View Figure' button. The figure viewer. Hit 'back' to return to your test. When you've finished the test, you'll get a summary as to whether you passed or failed. Questions you missed will be listed on top, and you can tap them to review them. PalmVE can display your past testing data to you in two views. The first is the test statistics view. Use this view to look for or analyze trends in your test history. The default parameters will show you the question groups that you've missed the most questions in over the past week. Since question groups are organized around content, this can give you hints as to what areas you need to study (for example, Electrical Principals, or Operating Standards). It also shows some overall stats. You can change the timeframe and the displayed sorting statistic on this form. You can clear your history or go to the test history view in the options menu. The test history view simply shows you all the tests you've taken on this question pool, and whether you passed or not. You can select a test to view the same test summary screen you saw the first time you took it (so that you can review questions, or what not). Full text search is provided by the application. So, if you want to find all the questions (in the pools you've downloaded) that contain the word mosfet, why, you can. Search uses SQLite FTS-3 virtual tables, so you can provide any sort of query that SQLite supports. From the search results form, or from the quick results list, you can select a question to view it in the answer browser. The program contains a rudimentary pool browser, so that you can just look at all the questions, if you want. This is accessible from the long-press menu. This page is showing you all the sub-elements in the question pool. Here you can see the question groups contained in a sub-element. Here we're looking at a list of questions inside a particular question group. Here we can see the answers and question text for a particular question. By default, the answer will be masked. You can change that in settings. Periodically, the body that manages the question pools withdraws certain questions. PalmVE won't show you the withdrawn questions by default, but it does know about them. If you want to see them, you can toggle that behavior in the settings menu, too. In this view (available from the long-press menu), you can see information about the question pool. For example: where it's installed, how much space it's using, and so forth. You can also delete the pool from here, or move it between internal and SD card storage. You can download the application on the Android market. If you're interested in the source, you can find that in the dev area. If you want to download the raw question pool data, you can find it there, as well. If you're looking for the old palmpilot version, you can find the old website here, but note that I am no longer setup to maintain this build, and won't be publishing any new ones. You could download the pool data from the developer page to use with the old program, though. VE session details broke because of a formatting change the ARRL folks made on their website. Fixed it. Released the 2011 general pool. Added a feature to search for VE sessions. Feature uses device coarse (network based) location to try to figure out your zipcode. Then it uses the arrl.org provided VE session database to locate nearby sessions and display them to you. Initial release of the android version. The original palmpilot version is discontinued and will no longer be maintained. What version of Android do I need ? Cupcake (1.5) and above should work. LDPI screens are not supported. Please let me know if you have any trouble on your device. Can I test on all the question pools (extra, general, technician)? Yes. The first time you run the program, it will download the list of available pools and provide you the option to download one or all of them. By default, they will be stored on your SD card. You can move them by 'long-clicking' on the pool after you've downloaded it and going to the move/delete screen. As updated pools are released, the program will automatically notice them and allow you to update them. If I leave the program in the middle of a test, will it be there when I get back ? Yes, in progress tests are saved and so is your test history. 'Long-click' on a question pool to get at your test history. Tap them to continue an in-progress test. Your thing said I passed the test but I missed too many questions ! PalmVE goes by the percentage, and it is calculated with integer precision. Because of that, it can be off. Also, since I go by percentage and not by a hard number of questions right vs. wrong, the application may differ with the VEC by a question or so. If you're this close to the line, keep studying ! You can change that in the settings screen. All the source is available! Head here. I'm Michael Ballbach, N0ZTQ. I'm an extra class amateur radio operator and an accredited ARRL VE. You can email me if you'd like, with questions, comments, error reports, whatever.